We specialize in charcoal grilled food that is healthy and simple. Our dishes have various influences from across the Mediterranean, from the olive groves of Greece to the tapas bars of Spain, resulting in an exciting blend of flavours . In the restaurant the lively and relaxed ambience reflects the laid back style of Mediterranean eating. All our meat, fish and vegetables are bought from local suppliers and cooked to order on a traditional charcoal grill. The food is straight from the barbeque to your table fresh, colourful, healthy and delicious! Alternatively enjoy the chilled out atmosphere of our tapas bar where you can enjoy delicious bespoke cocktails and a selection of freshly made tapas captures the essence of the Mediterranean where eating and drinking is a celebration of life! 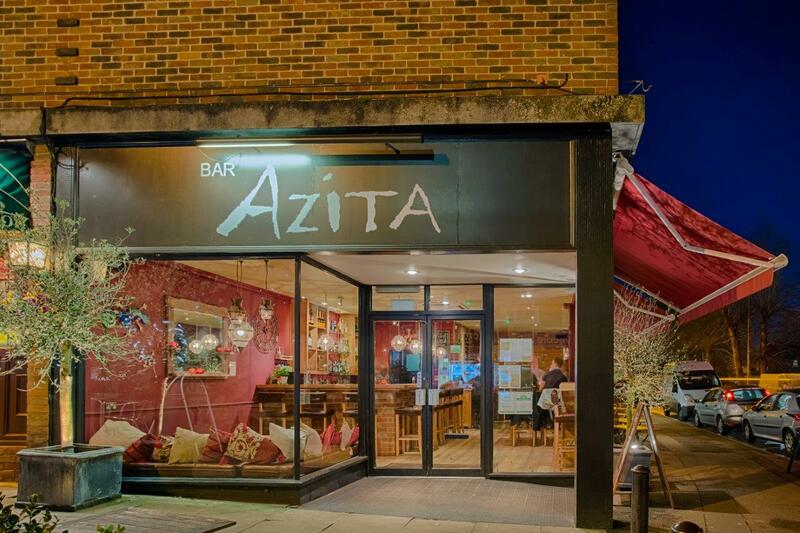 Always a lovely evening eating at Bar Azita. The food is always amazing and the staff so attentive. always decent food and good service. Not spectacular enough for 5* but still good! Delicious food as usual, great service with a nice atmosphere. Puddings are weaker than mains. Cocktails pricy but good. Great food as always. Just a wait for coffee order often. Has gone downhill in terms of service and atmosphere over the last year or so: food was still OK, but it felt like just another chain restaurant in attitude, service and style. Exceptional service and delicious food. Contacted me efficiently when requested and were professional and helpful in dealing with my booking. Had a lovely night out with my girlfriends, good food with plenty to choose from and just love the ambiance. Superb restaurant with a varied array of food to try and flex your taste buds. Service is good and friendly and it has a really buzzing atmosphere - make sure you book in advance though! Always come here. Perfect every time. 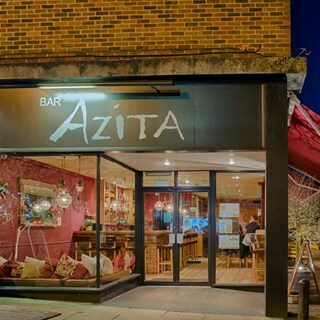 Our favourite place to eat in harpenden! Great atmosphere and delicious food! The most amazing butterfly prawns. Never had anything like it anywhere else. The atmosphere is great. I love going here! Definitely my favourite restaurant. Prefer dining in the bar area than the restaurant but both are great. Loved the live jazz- not too obtrusive but added to the relaxed atmosphere. Thoroughly enjoyed all dishes, great atmosphere, lovely waiter don’t know his name but he comes from Tenerife! Really lovely lunch, as always! Service very efficient and friendly. Great for kids too. Would definitely recommend but make sure you book well in advance especially for evenings! !